Jackie Wang is a self proclaimed alien. The Harvard University PhD student moonlights as a poet, filmmaker, educator, performer, and zine creator who centers her scholarship on the dream state and black studies. As the author of ‘Carceral Capitalism’, one of 2018’s hotly anticipated books, Wang blurs the lines between imaginative possibilities and analytic research by producing a singular, chimeric ode to prison abolitionment that can be perfectly summarized by quoting Palestinian poet Mahmoud Darwish’s “The Prison Cell” about a prisoner’s freedom to dream. ‘Carceral Capitalism’ challenges the U.S mass incarceration problem by investigating the methods that create and preserve the prison system from algorithmic policing, anti-black racism, private prisons, data analytics and more. Despite the harsh realities of the modern day carceral state, Wang simultaneously shies away from blistering pessimistic tendencies of state sponsored systematic violence whilst offering arresting glimpses of hope towards creating a new world free from the prison state. Following in the legacy of revolutionary thinkers and advocates determined to examine histories in a effort to imagine a new world free from exploitation, Jackie Wang makes an ideal participant in issue.3’s INCARCERATION. 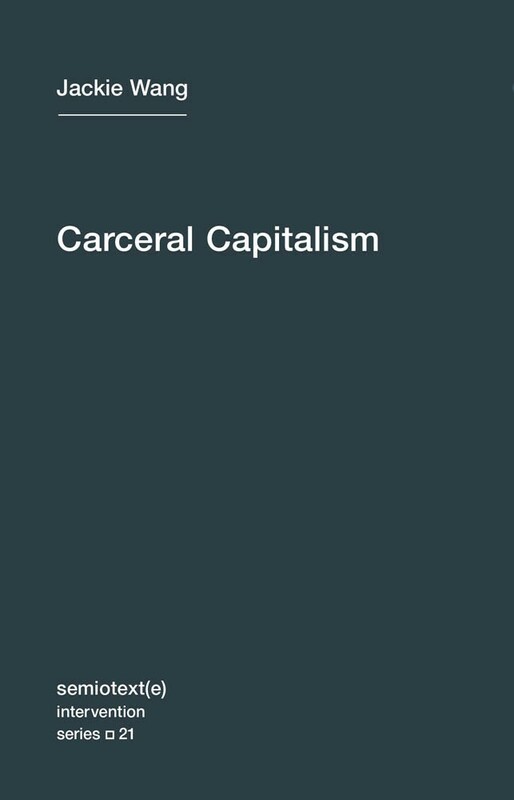 You can buy ‘Carceral Capitalism’ directly from Semiotext(e)’s online catalogue and follow Jackie Wang on twitter: @LoneberryWang. FAVORITE MOVIE LAMBASTING THE PRISON INDUSTRIAL COMPLEX (and why)? The Prison in Twelve Landscapes by Brett Story. The film is both rich in content without relying on spectacularized images of incarceration or anti-Black violence. It is formally compelling, too! A lot of documentaries focus on presenting information without really exploring the possibilities of film/video as a medium, but this film juxtaposes images and audio in ways that generate interesting resonances and connects disparate phenomena. Overall you leave with a sense of how the prison is embedded in the American landscape, as well as how it structures society even outside prison. Editor’s Note: A interview with Brett Story is featured in this issue! WORST MOVIE IN REGARDS TO THE PRISON INDUSTRIAL COMPLEX (and why)? Apparently Sylvester Stallone made a lot of prison movies. I have not seen them. WHAT’S THE BIGGEST TAKEAWAY YOU’LL LIKE READERS TO GET? The debt economy is untenable. The carceral society is expanding through predictive analytics and the data-ification of everyday life. Power is being reconfigured through algorithmic forms of control. Resist parasitic governance and predatory lending. WHERE DO YOU SEEK INSPIRATION IN THE LIFELONG FIGHT TOWARDS PRISON ABOLITIONMENT? Reading the prison letters of George Jackson ('Soledad Brother' and 'Blood in My Eye') is a good gateway drug. EVERYDAY WAYS TO DISRUPT THE PRISON STATE? Write to prisoners/sign up for penpals. Circulate information about what is happening inside prisons. Support campaigns to free political prisoners.